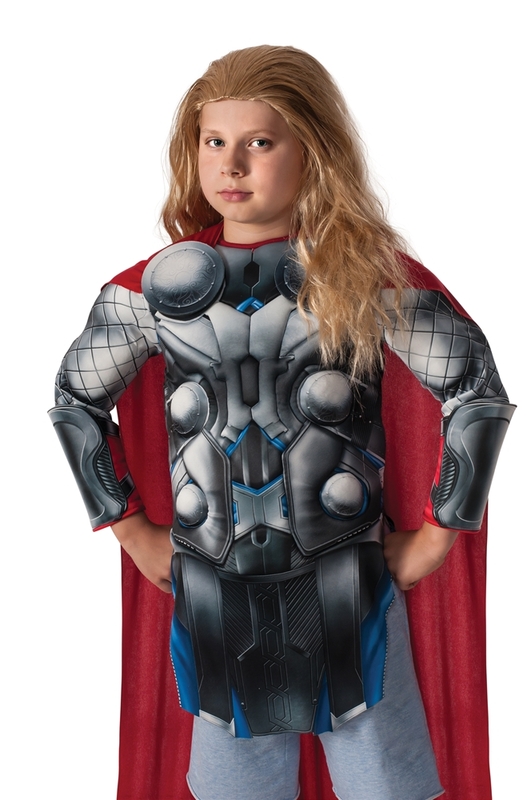 Become the mighty son of Odin and one of the planet's greatest heroes with the Avengers 2 Age of Ultron Thor Child Wig. This wig is styled after the thunder god himself in a straight, long, and slicked back mane. It is a handsome dark blonde in color with loose and subtle waves throughout. Pair this wig as you wield the legendary Mjolnir and you'll be that much closer to the call of "Avengers Assemble"! Diameter Max. 12", Length: 18"